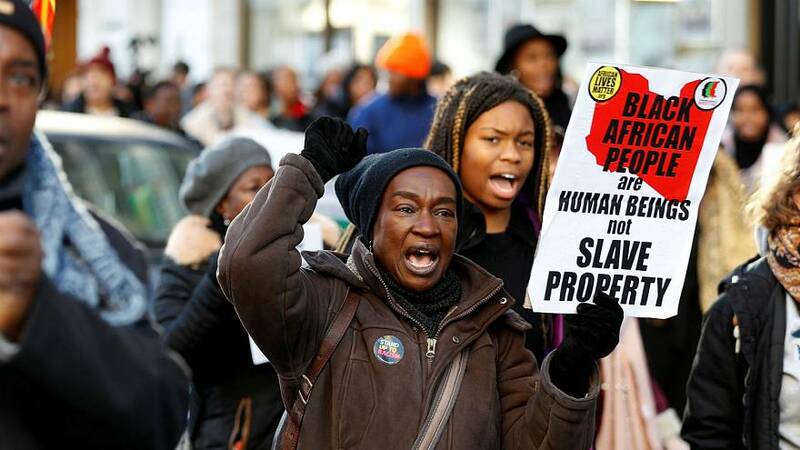 Demonstrators protested against slavery outside the Libyan embassy in London on Saturday (December 9). Marchers are demanding the Libyan embassy to stop slavery auctions after harrowing CNN footage shows what is believed to be slaves being sold near the Libyan capital of Tripoli. The footage sparked worldwide outrage and a petition calling on the UK government to put pressure on Libya to end modern slavery began circulating on social media in November. The petition has more than 262,000 signatures at time of writing. 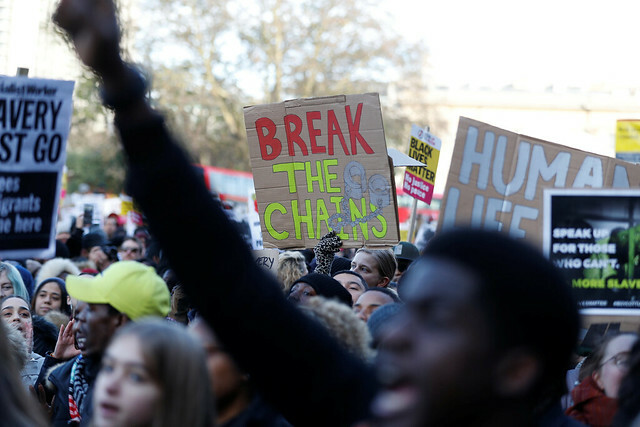 UK-based NGO African Lives Matter organized protests across different cities of the UK after the petition garnered thousands of signatures. Celebrities, including Cara Delevigne and Naomi Campbell, publicly supported the demonstration. An official poster for the march says the demonstration stands for “the enslaving and selling of black Africans in Libya and the illegal detention of migrants in Libyan concentration camps”. Parliament is set to debate the petition on December 18. The footage released by CNN is considered to be the first hard evidence of 21st-century slave trade in Africa.